What does DHDWTSBE stand for? 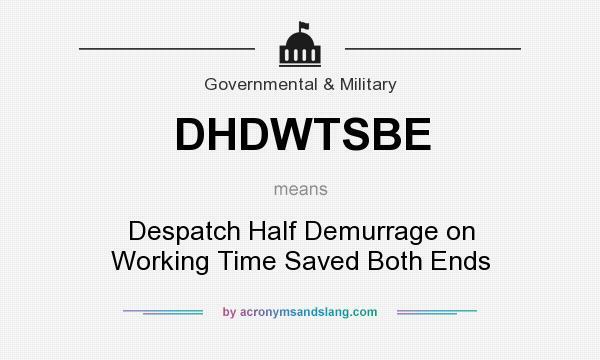 DHDWTSBE stands for "Despatch Half Demurrage on Working Time Saved Both Ends"
How to abbreviate "Despatch Half Demurrage on Working Time Saved Both Ends"? What is the meaning of DHDWTSBE abbreviation? The meaning of DHDWTSBE abbreviation is "Despatch Half Demurrage on Working Time Saved Both Ends"
DHDWTSBE as abbreviation means "Despatch Half Demurrage on Working Time Saved Both Ends"